The Italian Greyhound generally stands anywhere from 12 to 15 inches tall at the withers and weighs in anywhere from 6 to 10 pounds. These small stature dogs are particularly loved by families as they tend to have longer life spans that other larger dogs and live on average between 12 and 15 years. The Italian Greyhound is known for being a rather fragile looking dog with a slender build and a long narrow skull, much like larger greyhounds. As with all greyhounds it is recognized as having an almost arched back and at a healthy weight the edges of the rib cage should be visible from above. Due to their small nature it is particularly easy to over feed this breed and have an obese greyhound on your hands. Obesity is a severe problem with many dog breeds but proves to be particularly dangerous in smaller breeds like the Italian greyhound. When standing to attention the Italian greyhound holds its front legs straight and its back legs tend to stretch backwards beyond the hind section of the dog. The Italian greyhound is known for having a thin, whip like tail which tapers to a point and set low to the body. The Italian greyhound also has a pointed muzzle which contains its small teeth that meet in a scissor bite. This rather petite looking dog is often recognized as having a longer and more slender neck than other breeds and many Italian greyhound owners show off this feature by fitting their dogs with thick collars that show off their dog’s neck. The ears of the Italian greyhound are petite and tuck back on the head angling when the dog stands to attention. Quite a few other breeds of dog, including the full size greyhound, carry the same shape as the Italian greyhound. With a deeper chest and an abdomen that tucks up in to the body, the Italian greyhound is particularly well suited to running and are known to be able to run as fast as 25 miles per hour. Its slender and more fragile build can pose problems to the breed when cold weather strikes, however. It is not particularly well suited to colder climates and when winter hits in areas where it gets particularly cold it should be covered with coats or sweaters to keep the dog from becoming ill. With very little fat to cover internal organs and insulate the dog as well as very short fur the Italian greyhound should maintain some type of artificial covering throughout colder months to ensure that they retain body heat. While many people refuse to “dress their dogs” due to the fact that they see it as unnecessary and just plain silly, it should be noted that with certain breeds like the Italian greyhound it is necessary to insulate the dog from cold weather which poses a risk to the dog’s health. Acceptable coat colors for the Italian greyhound are gray, slate gray, red, fawn, black, blue, white or cream. It can be both white with different colored markings or colored with white markings on the chest and the feet. Some of the most common coat colors in the Italian greyhound are white with fawn markings, black with white markings and gray. Most commonly recognized as Italian greyhounds are the gray dogs with white markings. 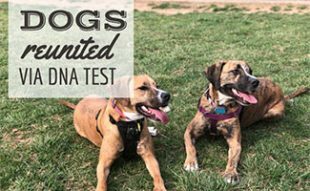 While they do come in a wide variety of color options the American Kennel Club (AKC) does not recognize the brindle or the black and tan Italian greyhound as greyhounds that are suitable for showing. 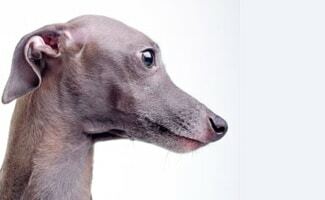 While the Italian greyhound is a rather fragile dog as a puppy, fully grown Italian greyhounds can be rather hardy when treated appropriately. Treating an Italian greyhound appropriately often times means informing younger children in the household that the dog is not a toy. Children should understand that instead it is a fragile living creature that should be treated with care. One frequent issue for younger Italian greyhounds is the breaking of front legs. Due to the fact that these front legs are so slender and particularly fragile in puppies they can easily be broken when the dog is not handled with care. Handling an Italian greyhound is a common root of problems for fully grown greyhounds. If a young Italian greyhound is treated as a child and constantly carried it can often times become a neurotic dog that lacks the confidence that it should have as a fully grown dog. 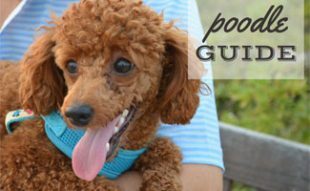 Any miniature or toy breed of dog that is frequently held or carted around like a baby or an accessory has a high likelihood of becoming unstable and will not be well suited to life in the dog world. How Healthy Is The Italian Greyhound? As far as health concerns the Italian greyhound is prone to the above mentioned breaks during juvenile life. The Italian greyhound is also prone to epilepsy, slipped stifle (another term for dislocation of the knees), fractures and progressive retinal atrophy. Slipped stifle and fractures are common among this breed due to their fragile bones and small slender legs. Epilepsy is simply more common in certain breeds of dog than others as is progressive retinal atrophy. Aside from the above physical ailments the only other real concern is that of producing a dog that is not well adjusted as a result of babying the dog as discussed above. The Italian greyhound in general has a rather good temperament when it is raised as a dog and not as an accessory or four legged child. It is a high energy dog that always has time to play but is also affectionate with its family and is intelligent and kind mannered. It is also a particularly pleasing dog that will do anything to please its owners in return for praise and attention. Italian greyhounds are generally not dominance seekers and are happy to defer to their masters and usually other animals as well. They are a trainable breed of dog when approached with the right technique. Much like its exterior the Italian greyhound is a fragile dog when it comes to taking instruction. They do not respond well to a harsh tone of voice and do not respond to harsh discipline of any kind. While an intelligent breed of dog that responds well to proper tone, the Italian greyhound can become bored easily during training and it is important to make obedience classes a fun and interactive experience that involves a lot of rewarding to keep the experience positive and fun. The Italian greyhound can be a particularly mischievous dog and when not trained they can get themselves into a lot of trouble. While it may not seem like a big enough dog to get in to a lot of mischief, when this dog stands on its hind legs it can easily reach the height of a coffee table or anything else within reasonable distance. The Italian greyhound does not just make mischief inside the house – when trained in obedience this dog should not be let off leash. Due to the innate love of running in Italian greyhounds and their natural independence in hunting they should not be trusted off leash. The Italian greyhound, much like the Jack Russell Terrier has a particularly high prey drive and even when trained if they are off leash and catch sight of a small mammal they will more than likely take off in pursuit of them. With an estimated maximum speed of 25 miles per hour a greyhound on a mission can be an extremely difficult dog to catch. An important aspect of life with an Italian greyhound is that the master maintains a tone and mind frame of authority. As is the case with many dogs if your dog does not sense that its master is in control it will be reluctant to both learn from and obey its master. 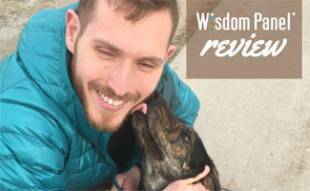 It is also important, as it is with any dog, that your greyhound is well socialized with people, children and other animals during its younger years to ensure that it grows up to be a well socialized dog. Dogs that are over protected and not exposed to enough stimuli in their younger years can be both difficult to train as well as poorly behaved with humans and other animals. Another important factor in the life of the Italian greyhound is exercise. As a high energy dog it is important that the Italian greyhound receives plenty of exercise, which generally will include a daily walk as well as free time play in a fenced yard, dog park or other play time atmosphere. Despite their high energy and need for playtime, however, they generally requires a quiet household. The Italian greyhound does get along with children and other animals but they do not do as well in homes where they cannot seek silence or quiet space to recover. The Italian greyhound that is well exercised will be a well behaved dog in the home. As with any other dog it will show signs of acting out when they do not receive adequate exercise and will also become difficult to train as a result of having excess energy to burn. They can live successfully as an apartment dog due to their size; however, it is vital that this breed receive a daily outlet for their excess energy in order for them to live a happy life. Unlike other dogs, the Italian greyhound is a particularly light shedder making them the perfect dog for families who want a dog that does not shed a lot of hair. There is very little if any grooming required for the Italian greyhound and a bath once or twice a year is one of the only grooming duties that this breed of dog needs. In addition to a bath once or twice a year your greyhound does require regular toenail trimming to maintain healthy toenails that are not painful for the dog to walk on. The Italian greyhound is an incredibly sensitive and intelligent breed of dog that is far more talented than many people give it credit for. 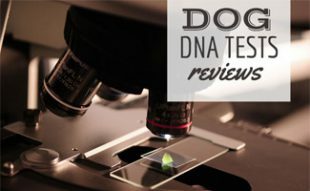 However intelligent it may be, however, it depends greatly on its master’s ability to lead and without a strong leader in the household this particular breed of dog has intense difficulty adjusting. When living in a household with a master that understands this small breed’s need for structure and leadership, the Italian greyhound proves to be a great addition to any family. Great with children or solo leaders it is sociable and very trainable making them the perfect dog breed for just about anyone! While the Italian greyhound is the perfect candidate for any household it tends to fit in best with families that are looking for a small breed of dog that has a lot of energy and a need to please. When paired with the right master it excels in both obedience and life as a family dog. The Italian greyhound is also particularly well suited to working in racing activities such as fly ball, so any family looking for a small dog that they can participate in activities with would be particularly well suited with this breed of greyhound. In general the Italian greyhound is a well rounded dog that is well suited to a variety of homes and a variety of families!